Bike touring is great, but it does leave many “nearby” attractions undiscovered. I can’t count the number of times I have looked longingly at a sign for a promising sight while Rich chides, “Molly, that little detour is 12 miles round trip!” We cycle on by. After two bike tours through Fredericksburg TX, this year we chose to arrive by car with our bicycles on the back. Settling into a tiny cottage just off the historic Main Street, we suddenly have access to all those missed opportunities. Nothing qualifies as too far to detour. Today’s destination was my pick. 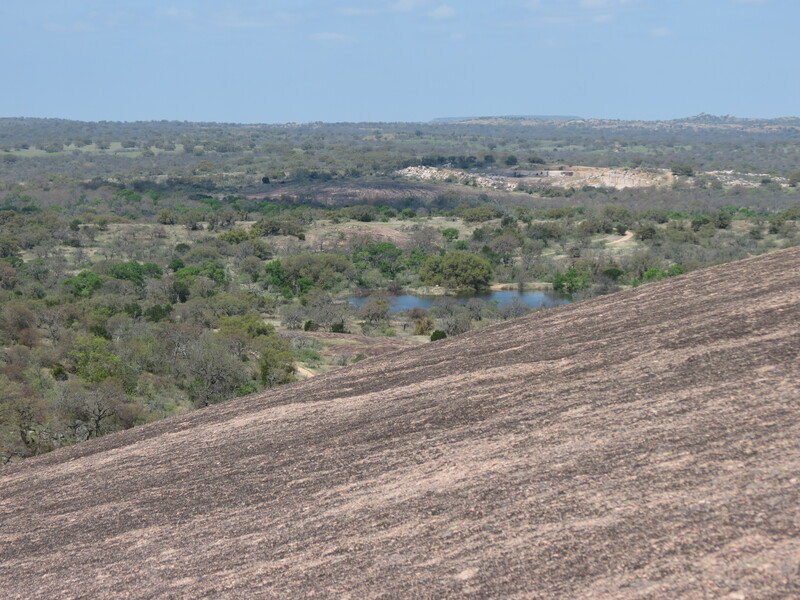 I got my first glimpse of Enchanted Rock while on a long bike ride. 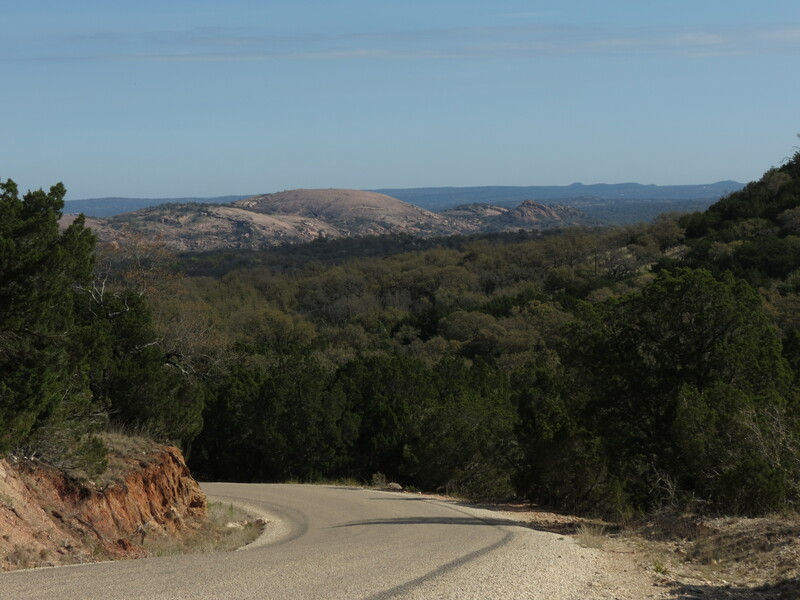 Navigating the winding, hilly backroads, I turned a corner and there it was – the big pink granite dome. That was enough to put it on my bucket list for our stay. Waiting out the misty morning, we timed our arrival perfectly – just as the sun came out. We also deliberately missed last week’s spring break crowds. 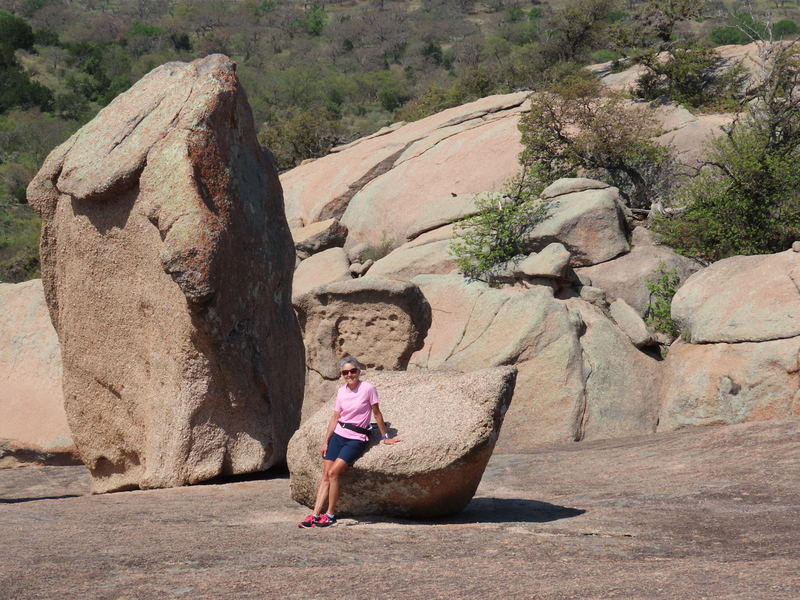 No bikes for us today, the Enchanted Rock State Natural Area is for hiking. Loading up with sunscreen, plenty of water and cameras we started off with the iconic Summit Trail. Calling it a trail is a misnomer. It’s a rock. And you walk up it. 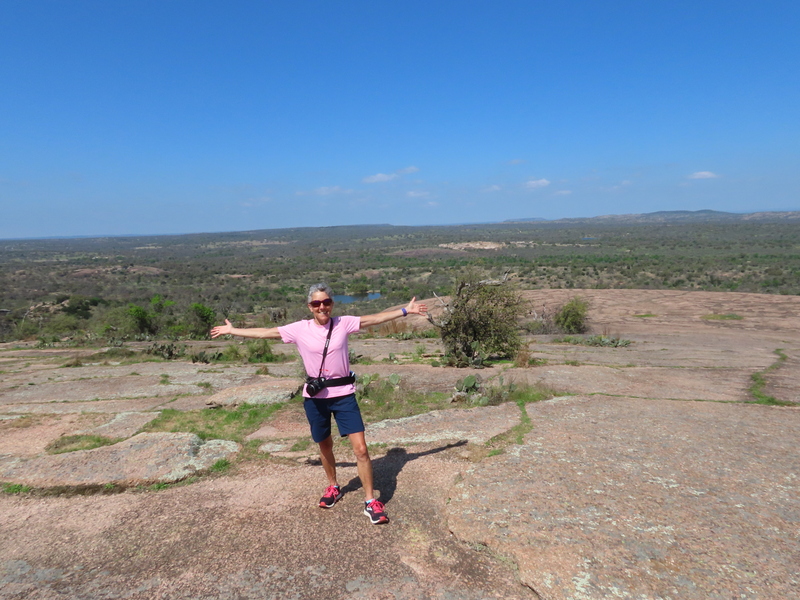 The big pink expanse beckoned and we meandered up the steep slope to the top. Chatting with other trekkers made the journey far easier than we imagined it to be. 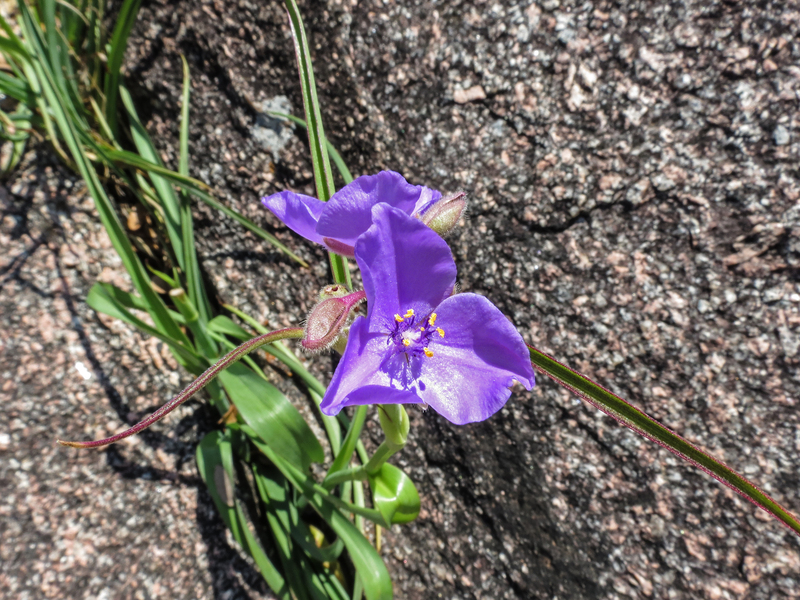 Wandering over the top of the dome, we admired the views, ogled strange rock formations and found wildflowers in the crevices. The notion of hurry did not apply. 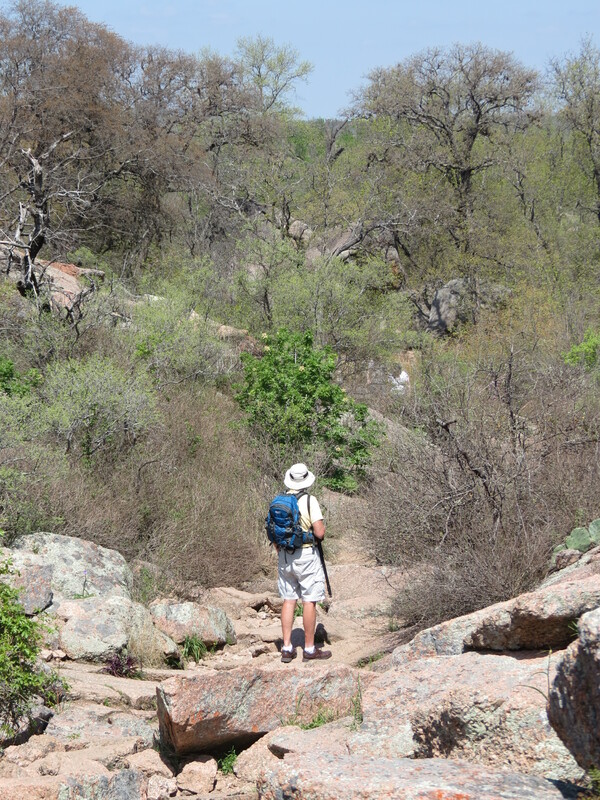 Hiking back down an alternate swath of rock, we connected with the Echo Canyon Trail. 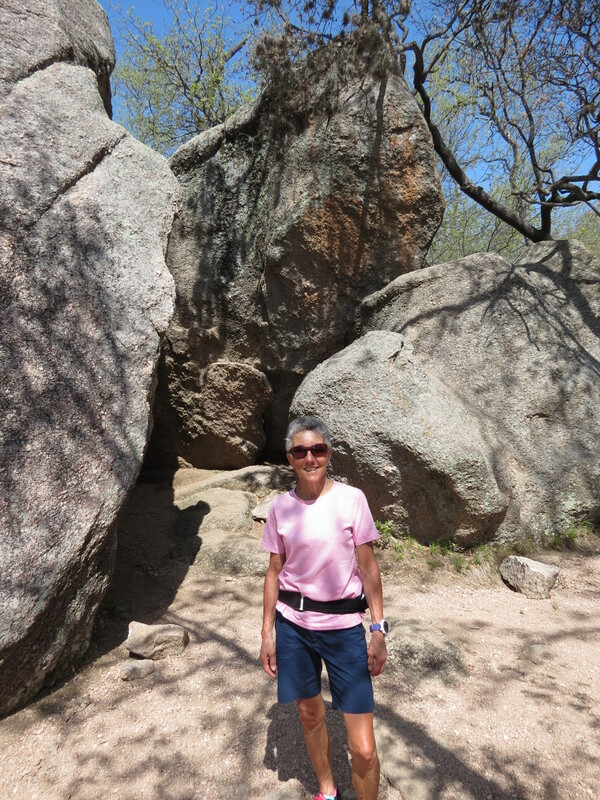 I quickly understood the Challenging classification, as I picked my way between boulders. 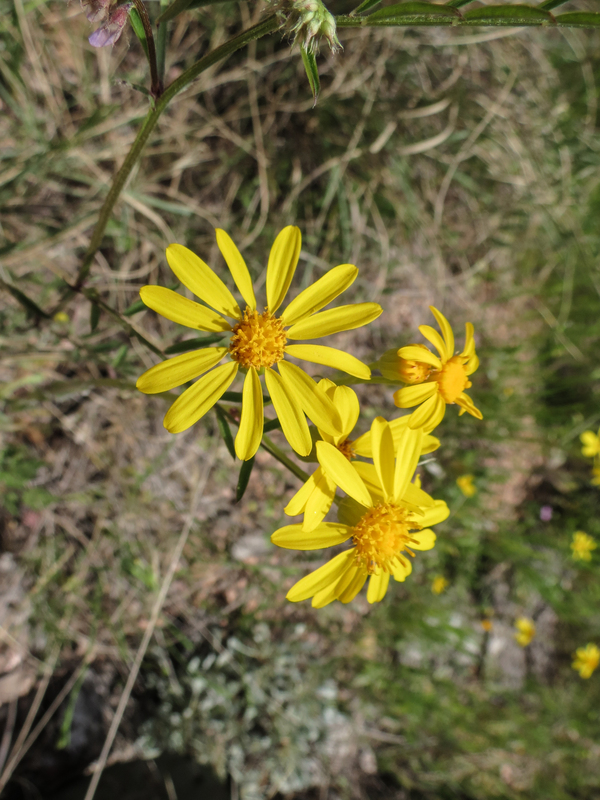 I was more at ease once it morphed into an easy walking trail. Skirting Moss Lake, we finished on the Loop Trail. The highway width crushed rock path was impossible to miss, and the unshaded sun baked our northern bodies. 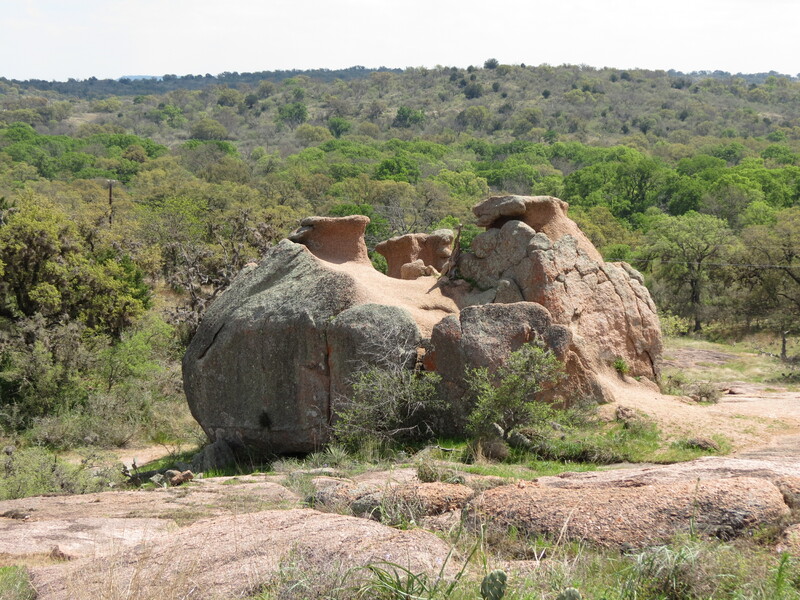 But it delivered on the wildflower scale and provided some fun rock monuments. 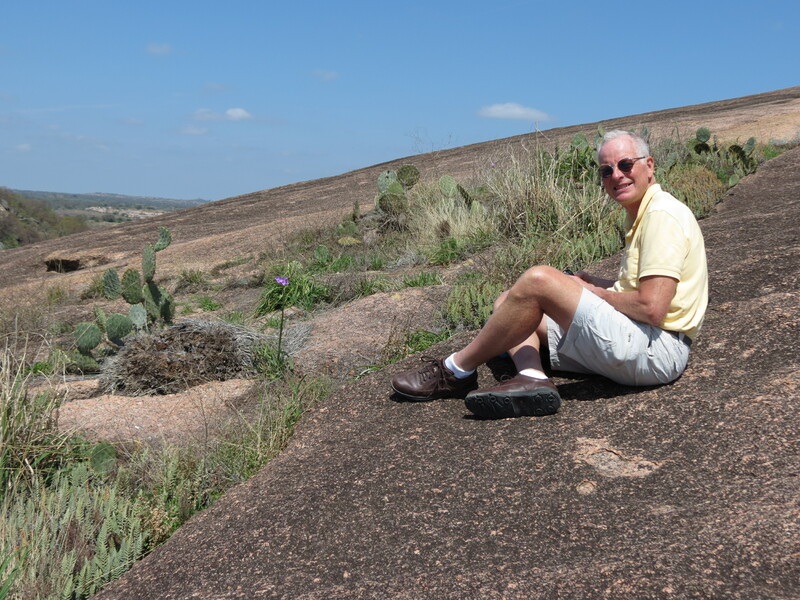 Tomorrow we’re back on the bicycles for our favorite loop through the Texas bluebonnets. But today I was glad Rich humored me for an enchanted day of hiking. 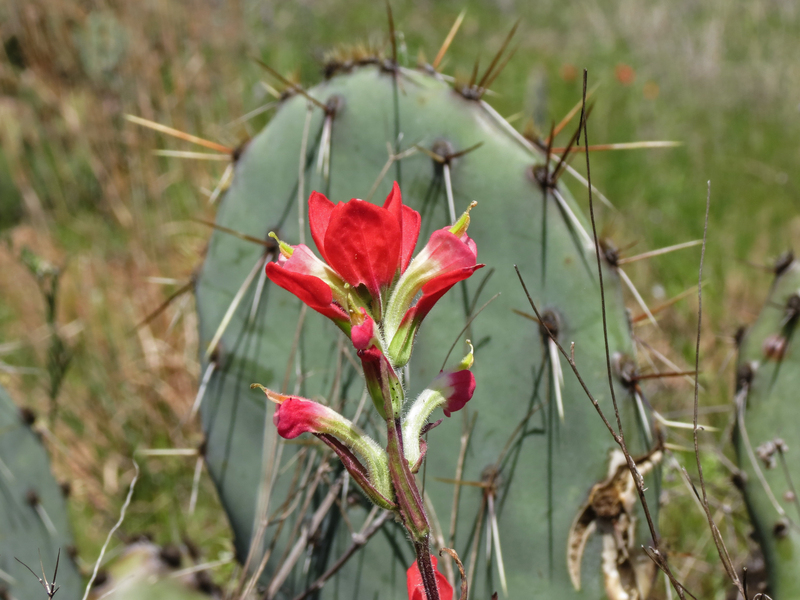 This entry was posted in Outdoors, Travel and tagged Hiking, Texas, Travel by Molly. Bookmark the permalink. This was great. Felt like I was there with you!